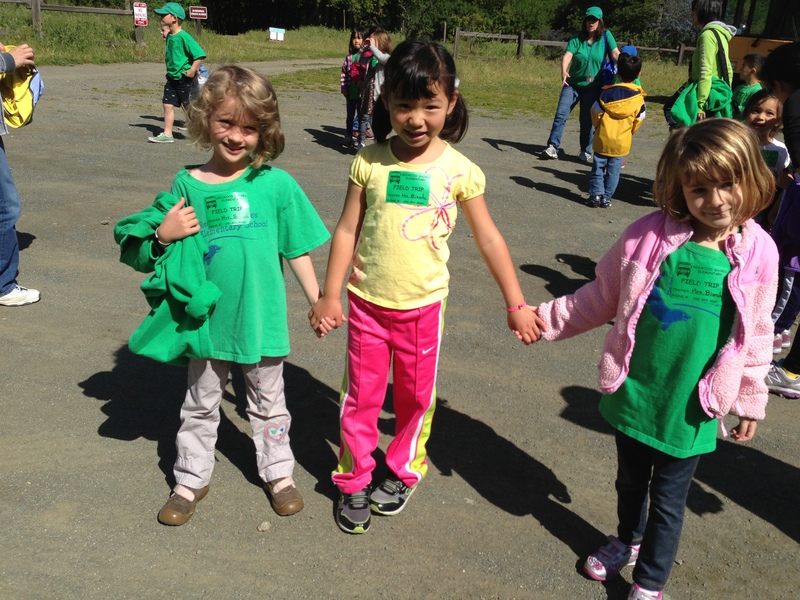 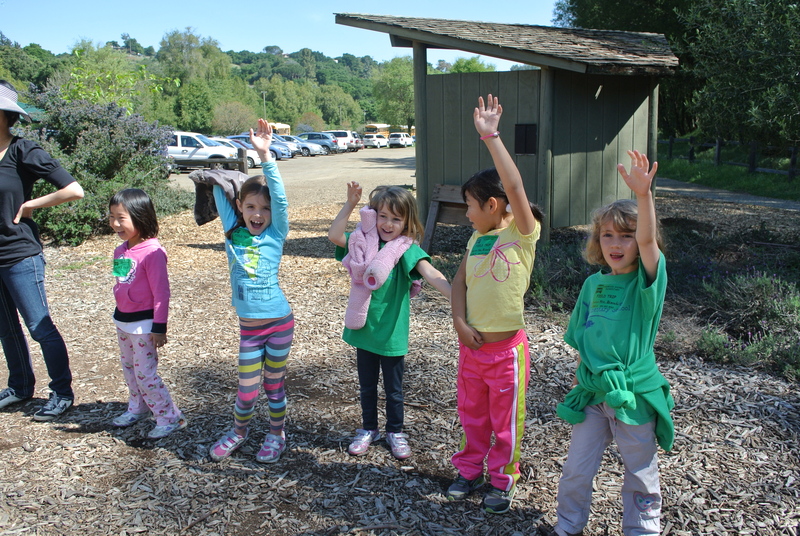 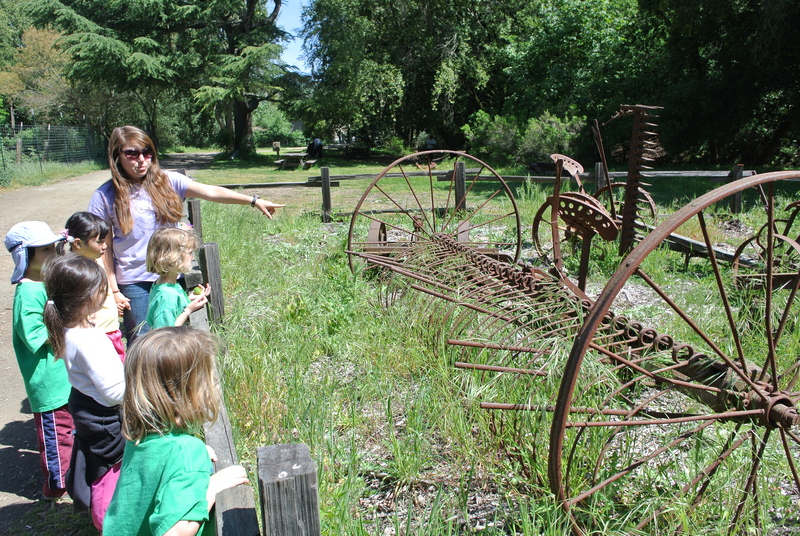 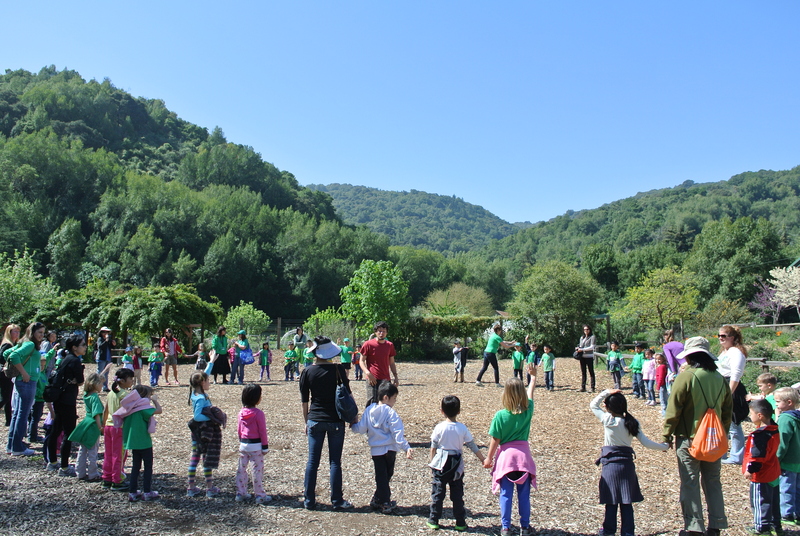 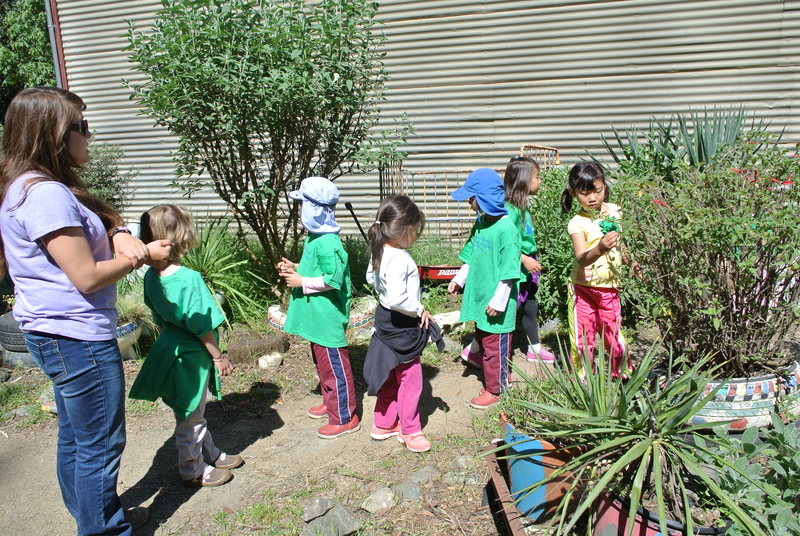 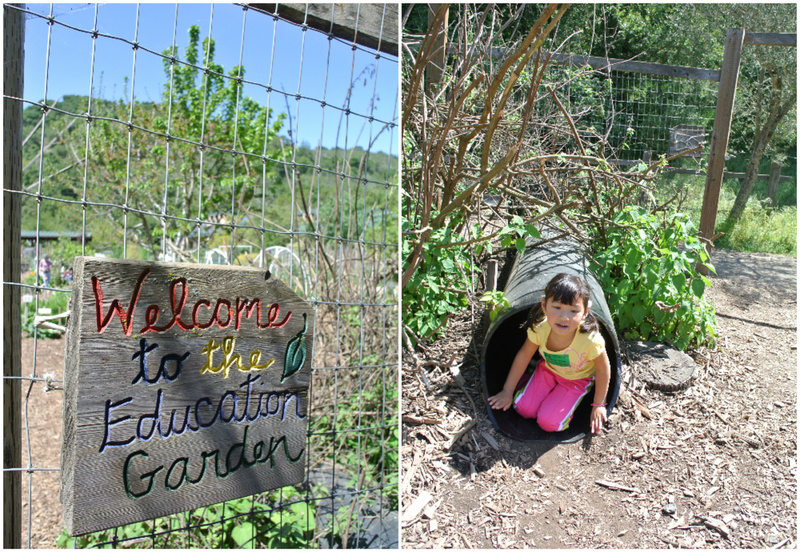 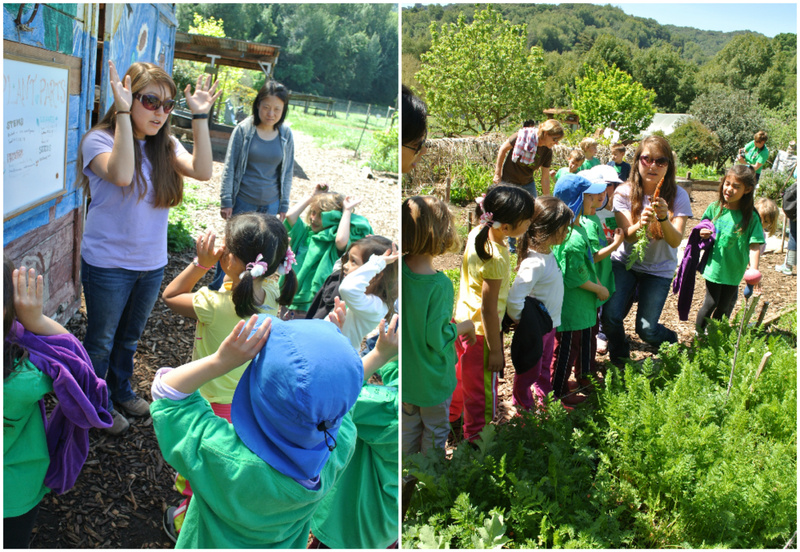 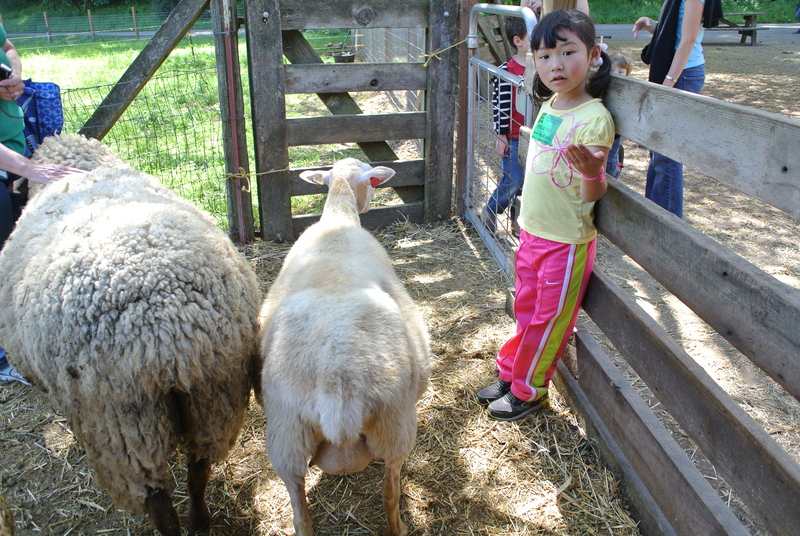 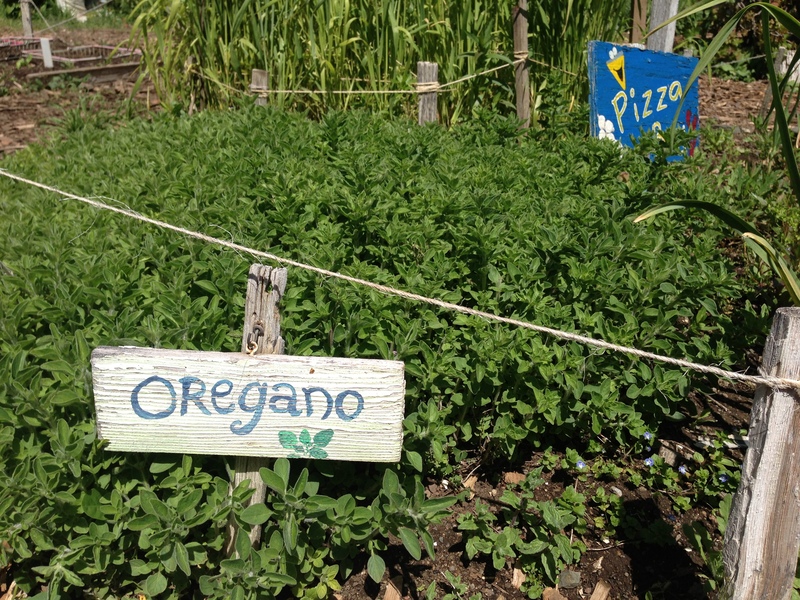 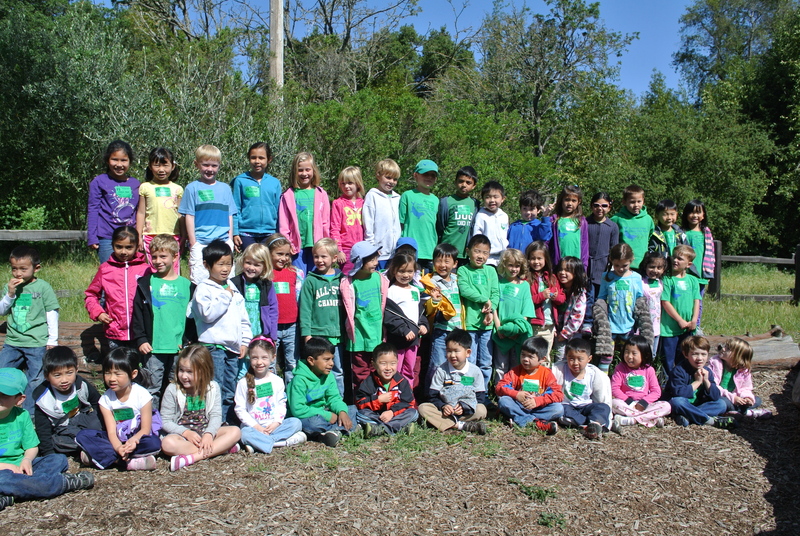 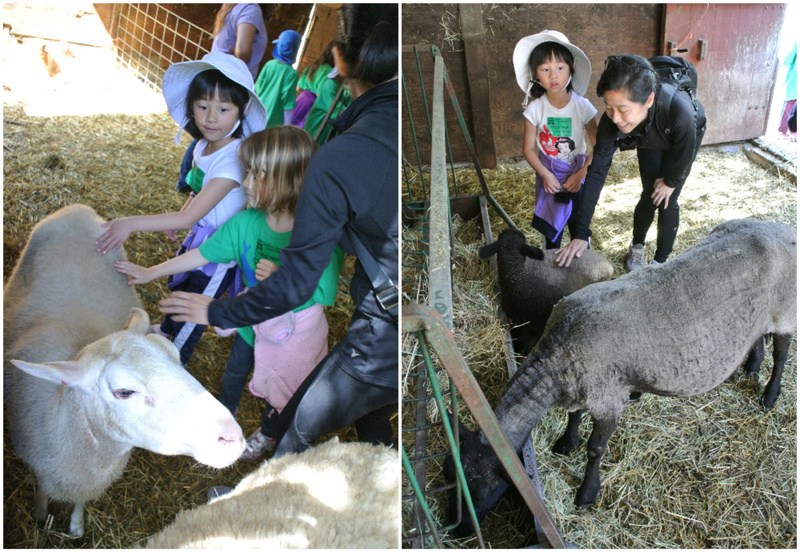 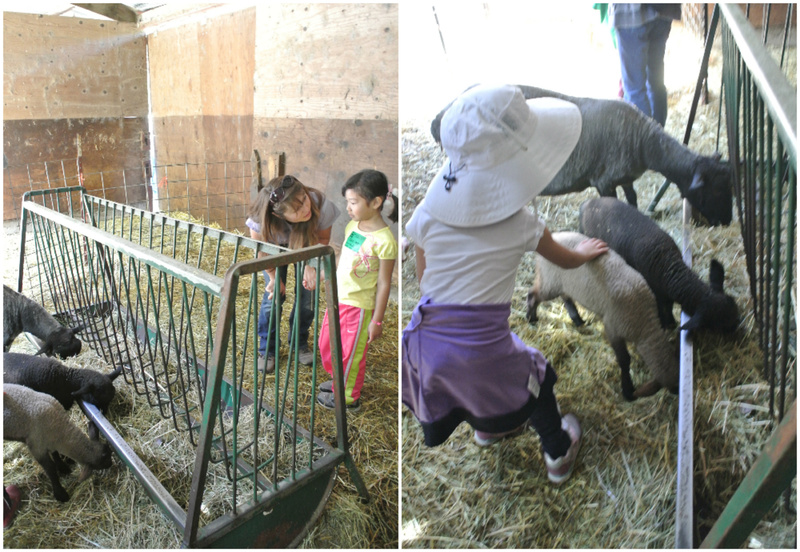 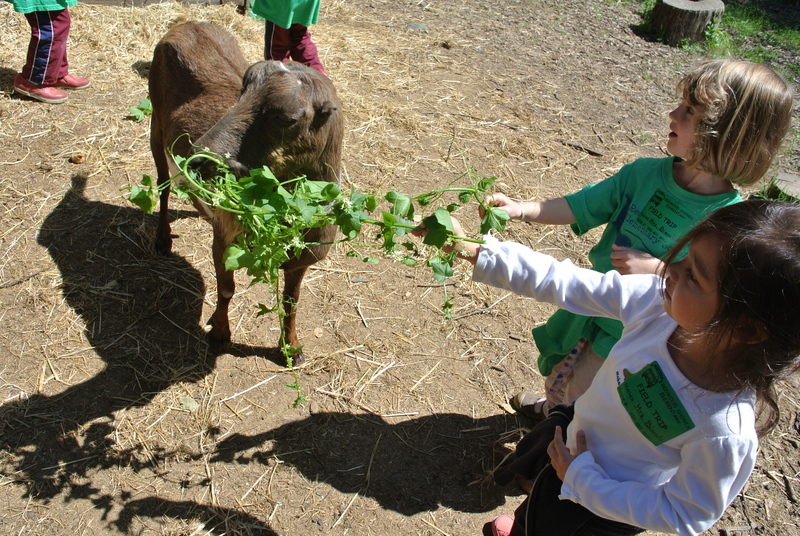 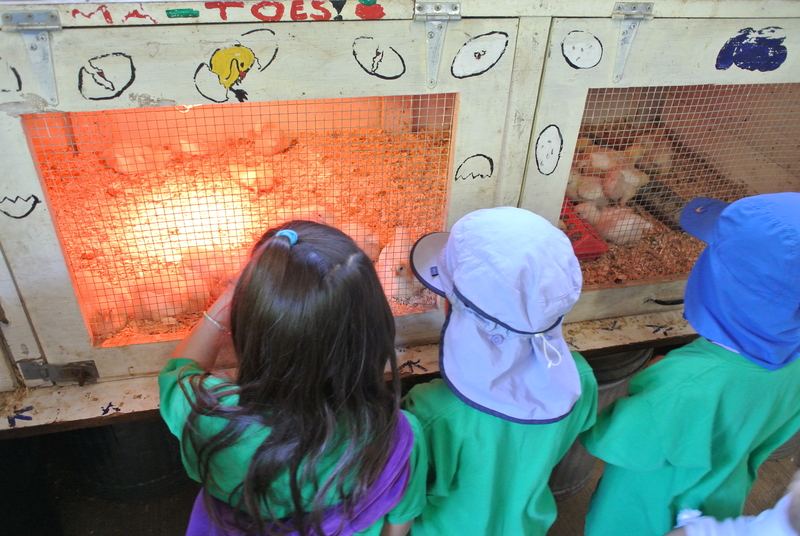 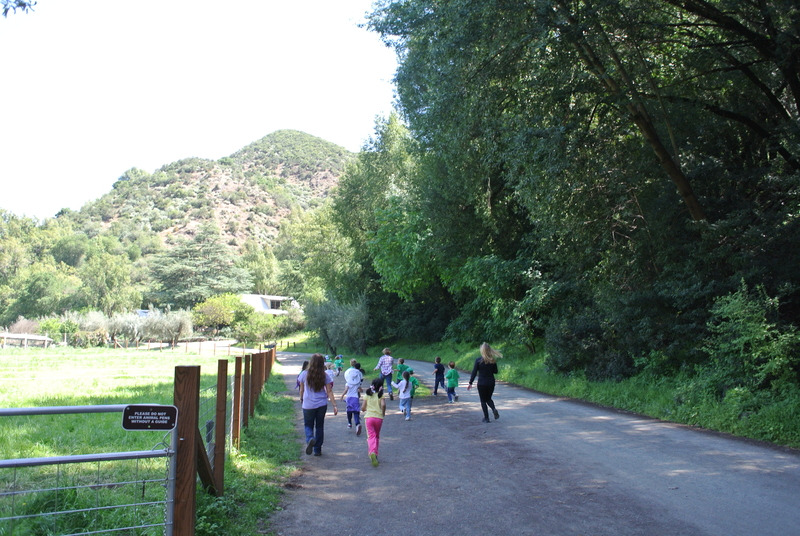 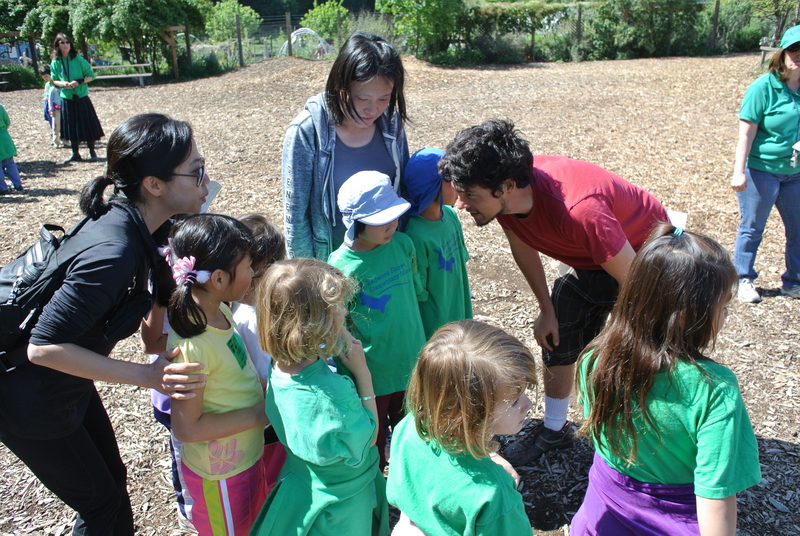 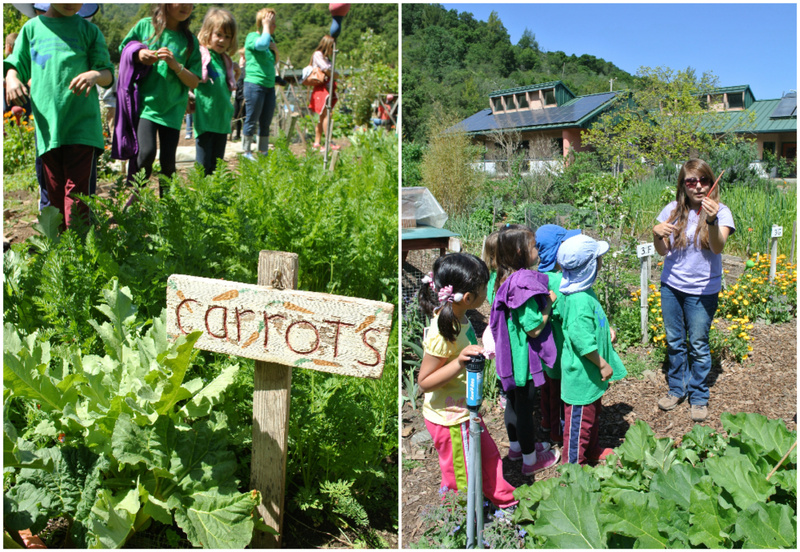 A few weeks ago, there was a kindergarten field trip to Hidden Villa, an organic farm in Los Altos Hills. 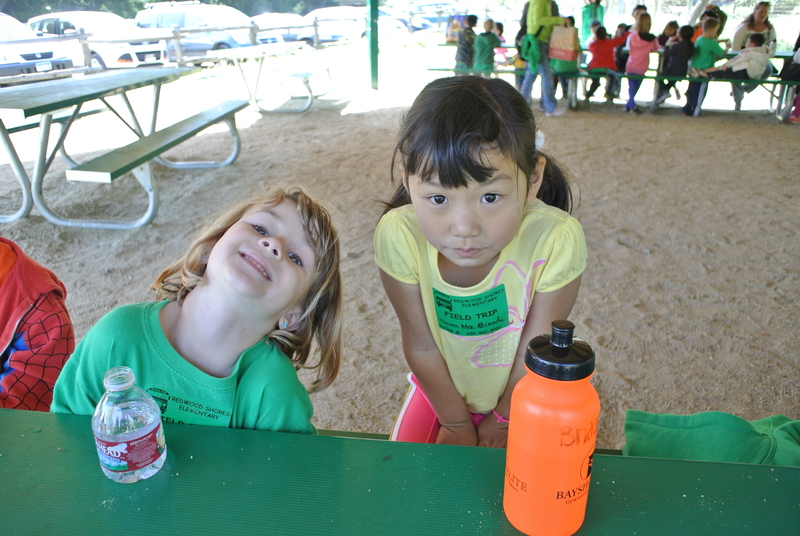 Both Mimi and I eagerly signed our names up as chaperones, and got to enjoy a wonderful morning with the girls and their classmates. 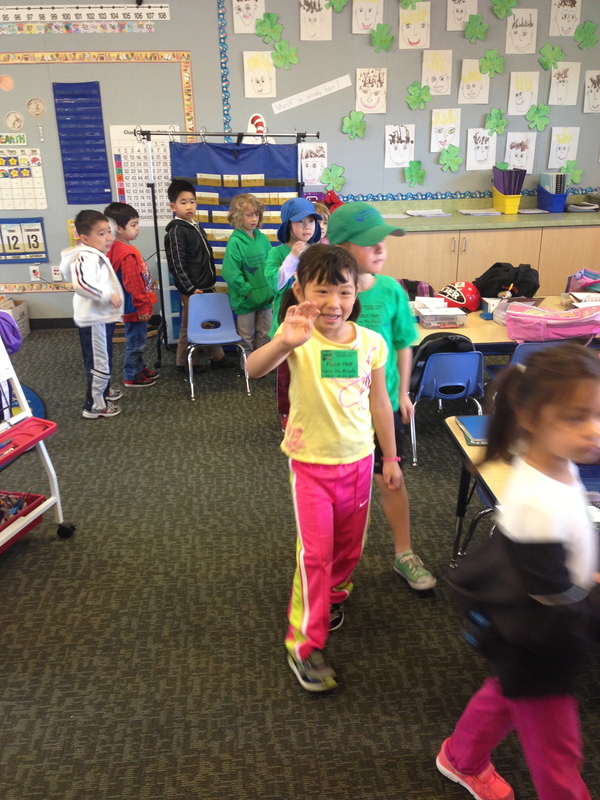 Excited to leave the classroom for their field trip! 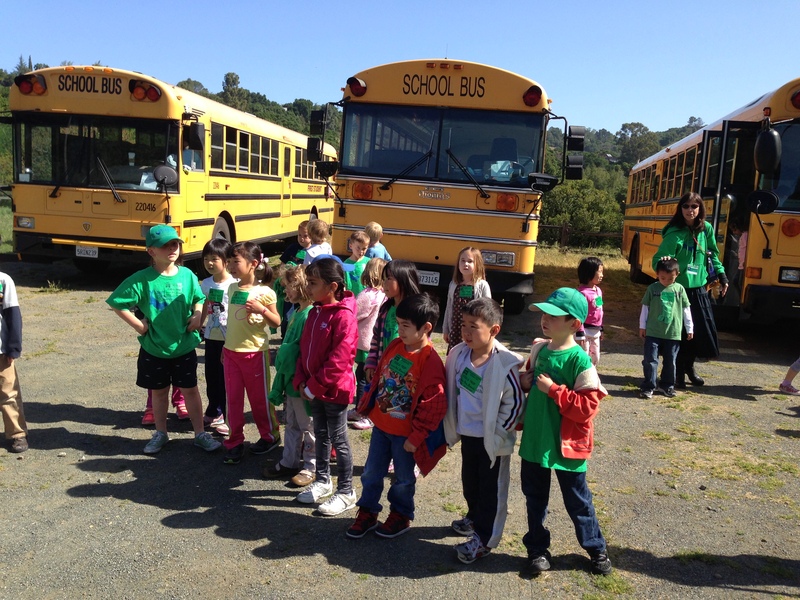 Each parent chaperone gets assigned 3-4 students to be responsible for. 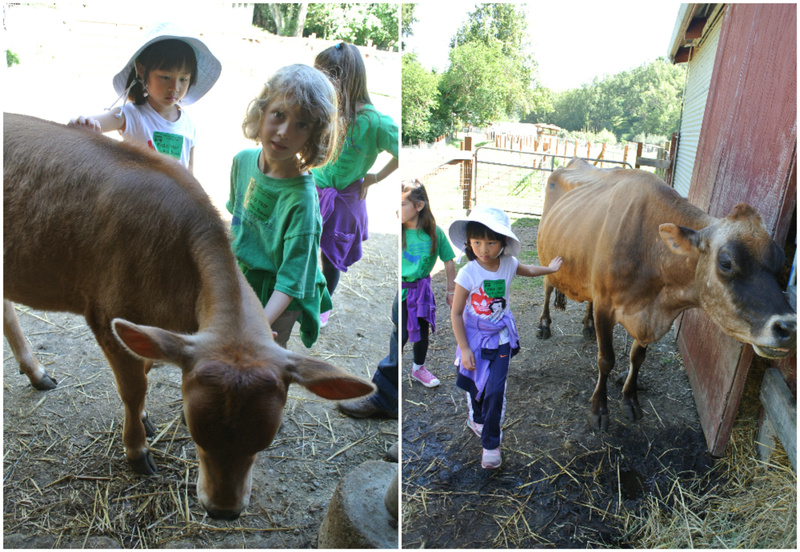 This time, I got Bridgette and two of her good friends, Madeline and Roxie! 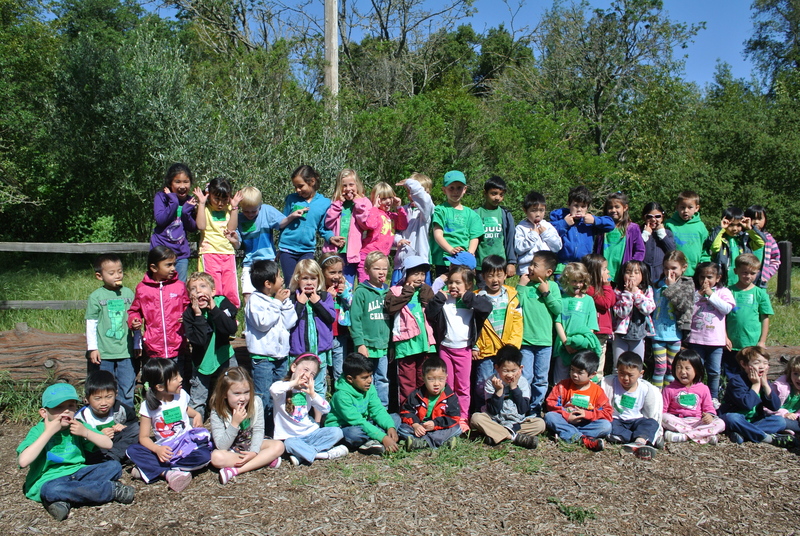 It took some effort to get this big group photo of all the kindergarteners! 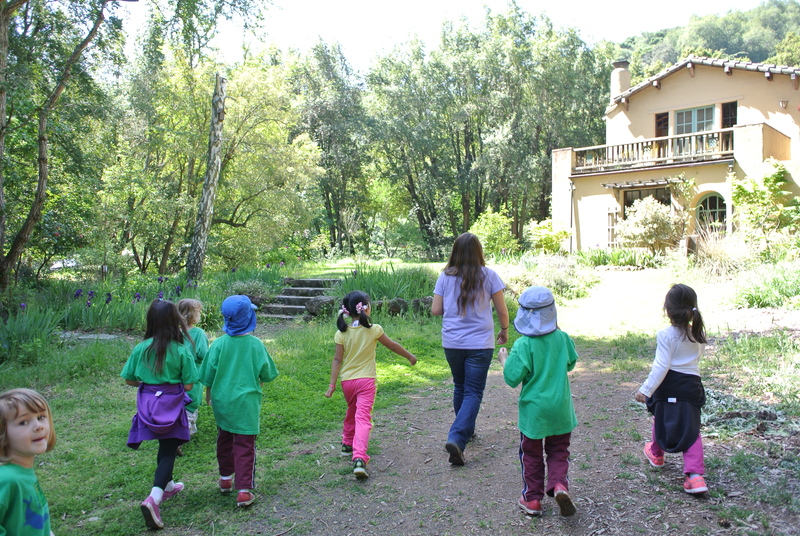 Loved how the tour started with “circle time”, where the docents helped the kids to let loose by some funny jokes, songs, and dances! 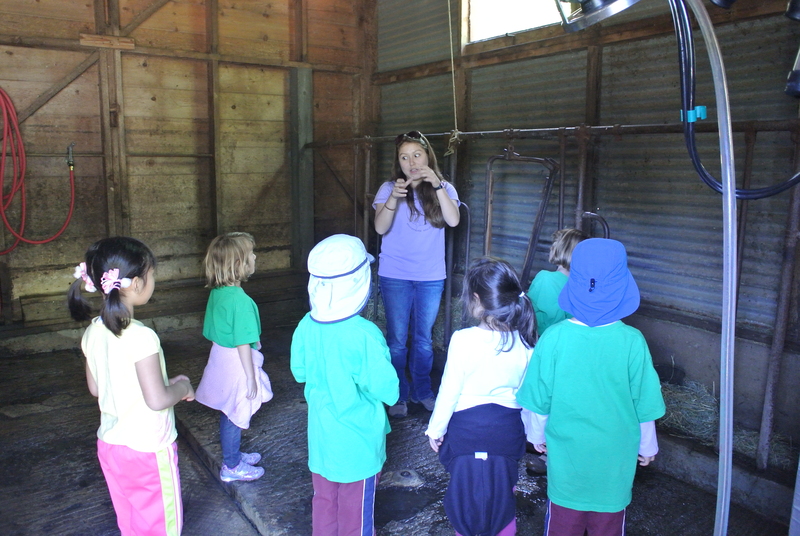 We split up into groups, and our docent, nicknamed Starshine, was fantastic. 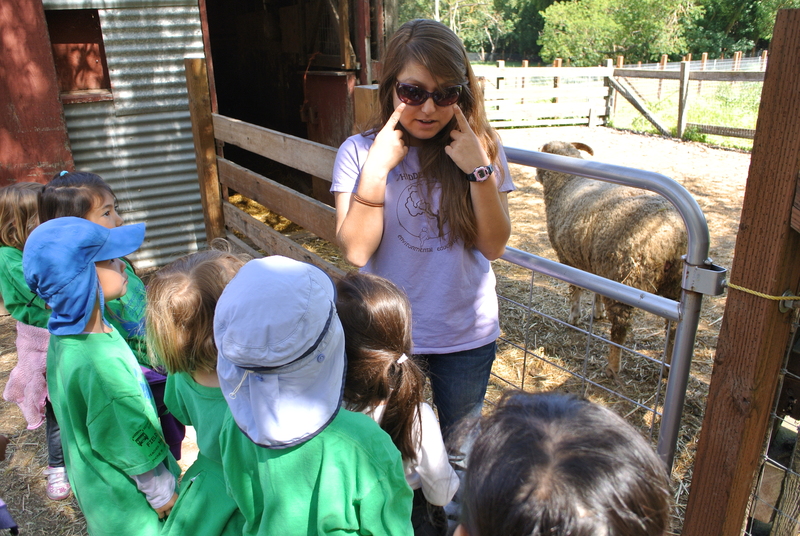 She definitely knew how to speak the kids’ language, and fed all of us an abundance of information on the animals we visited. 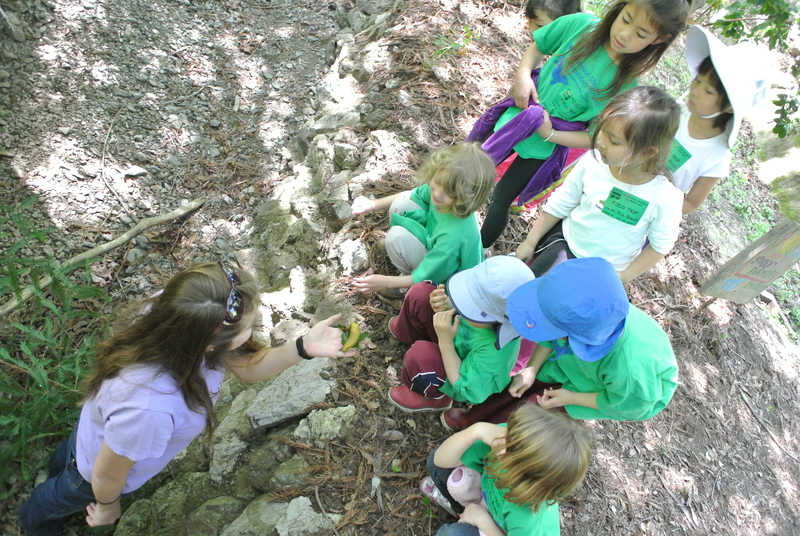 She also had a keen eye, and often spotted interesting things to see in the nature, such as banana slugs. 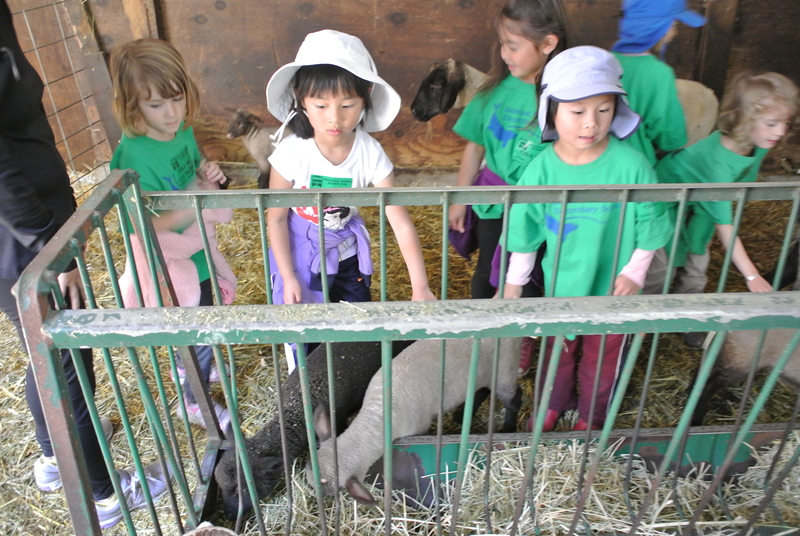 While we were outside the pig pens, we had a rather traumatic experience! 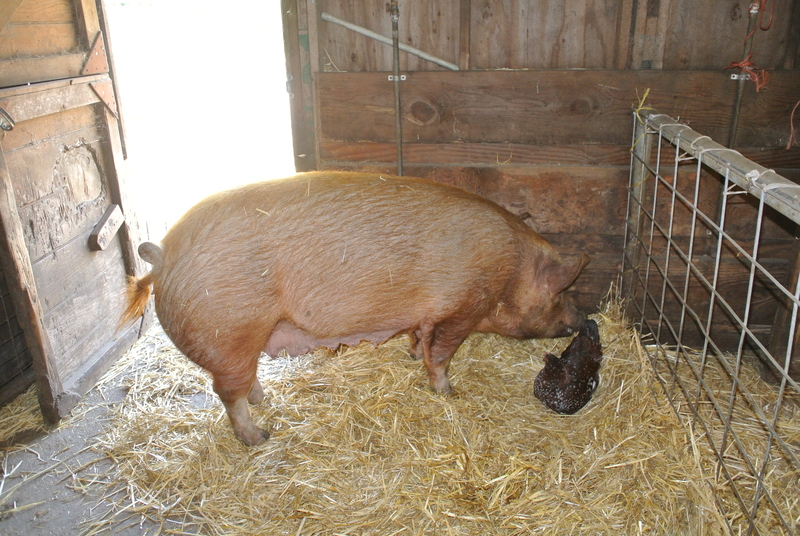 One of the pigs woke up and started moving around his pen, probably in search for food. 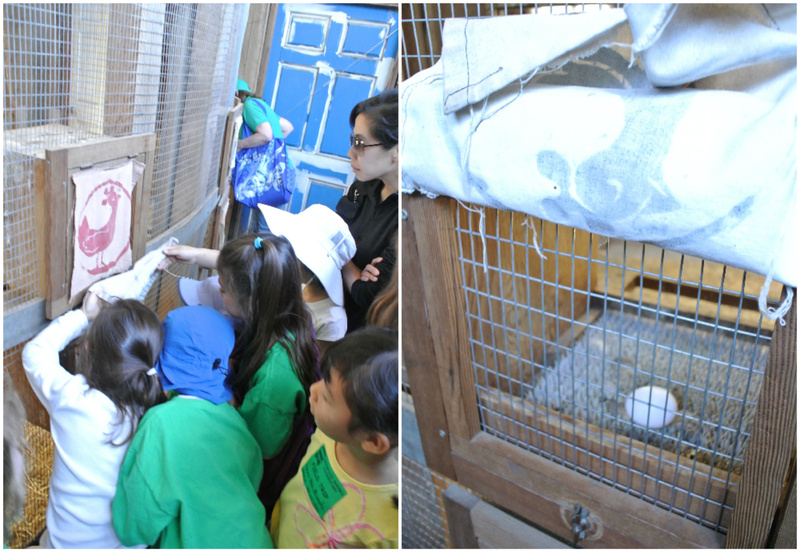 A not-so-smart chicken happened to be in the corner of the pen, hatching her single egg for the day. 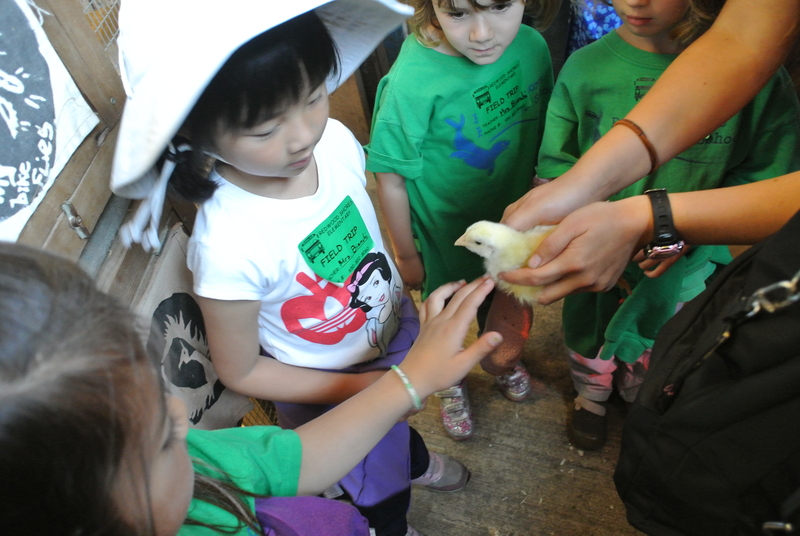 With one quick movement, the pig scared the chicken away and immediately gobbled down the egg. 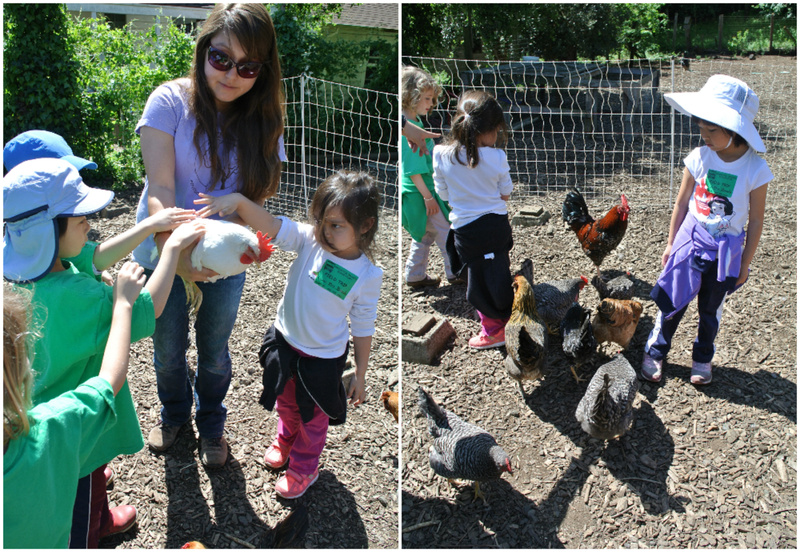 We watched in horror as the chicken tried to save her egg, but couldn’t. 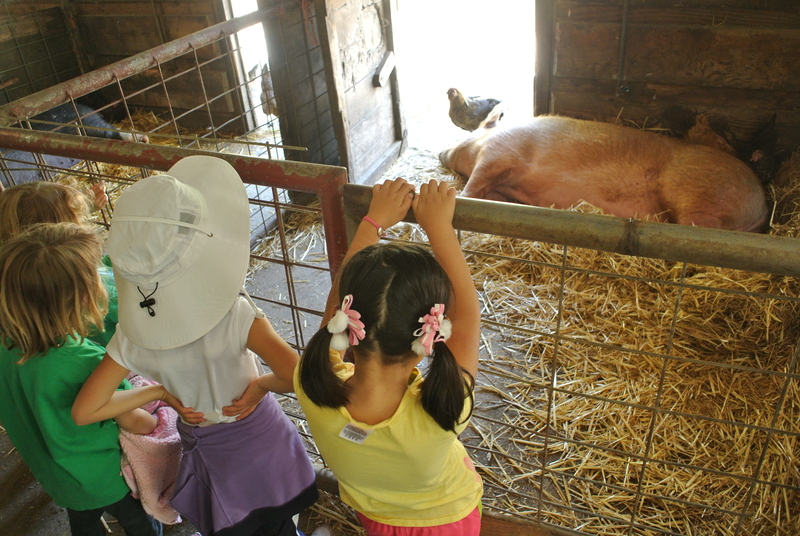 The kids kept asking if pig had eaten the chicken’s baby. 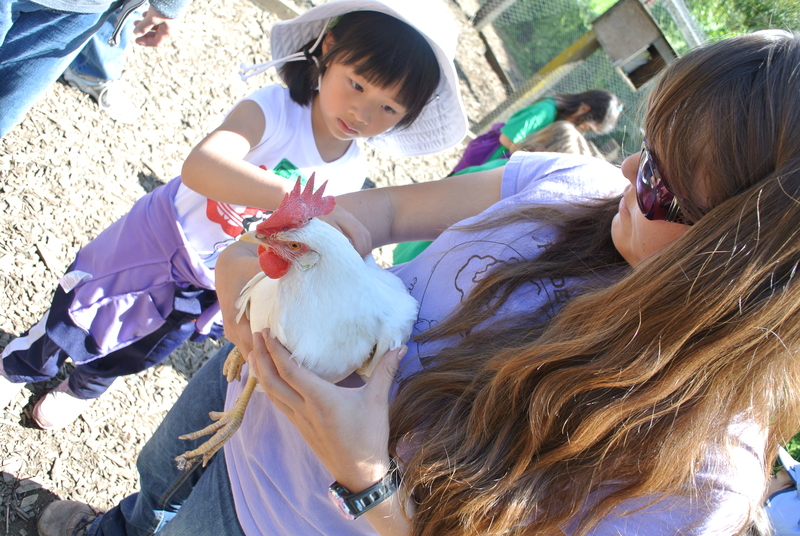 This poor chicken was probably as traumatized as we were! 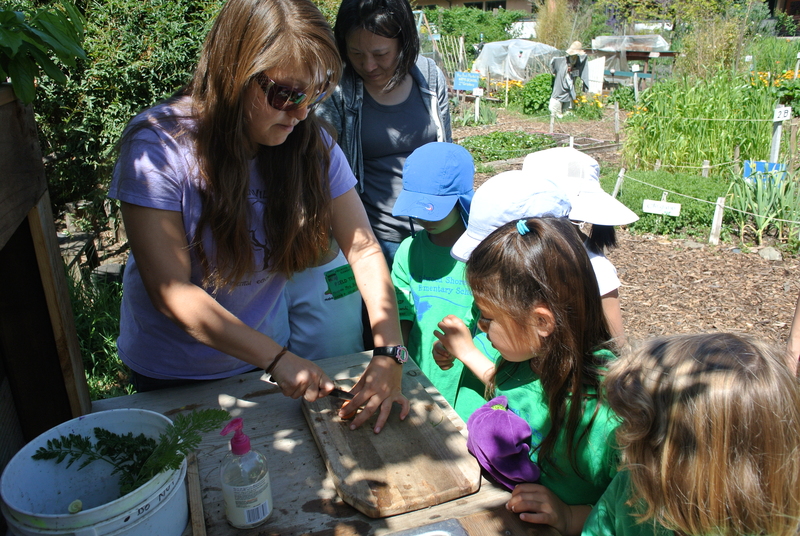 After visiting all the animals, we ended up in the organic garden, where we learned about the 6 plant parts–roots, stems, leaves, flowers, fruits, and seeds. 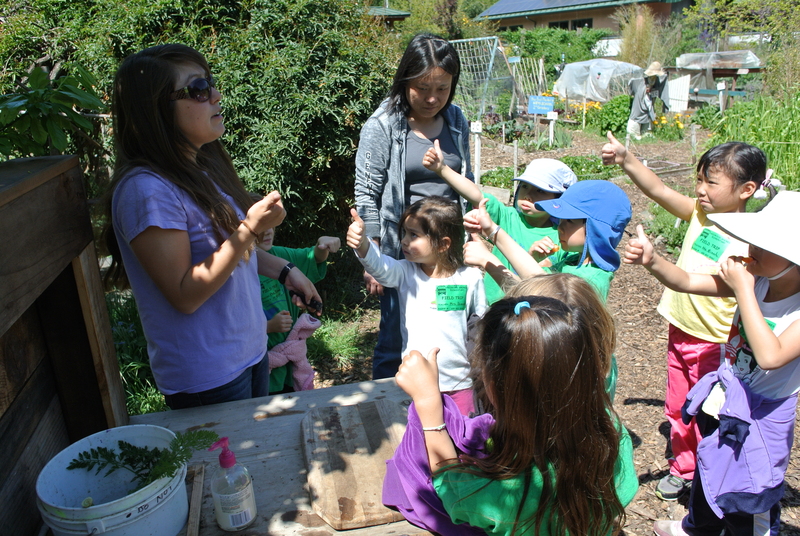 The kids gave the carrot a thumbs up!